Read Doreen's Zillow reviews by clicking here. "After her walk through of my home, Doreen was able to identify what needed to be taken care of before putting my home on the market. After completing what needed to be done I had an over asking offer on my home in 9 days. This may not sound amazing but it was during the winter, which is not the home buying season. Doreen is great! I would recommend her to anyone looking to buy or sell. No complaints on my end." "Doreen was great to work with! She knows the Stafford area well and understands what her clients are looking for. Don't waste time with another realtor!" "Doreen Boggs provided EXCELLENT realtor services as we ventured into purchasing and building our first new home. Not only was she extremely knowledgeable and detail oriented throughout the process, but she also provided a warm touch which made us feel at ease and anxiety-free. She also was great at identifying potential major issues when looking at older homes, which helped us steer away from purchasing a home that could've been a huge headache later. I strongly recommend her!" "Doreen was an absolute blessing for our family. Her wealth of knowledge and warm personality made it an enjoyable experience. My wife and I heard how stressful buying a home can be but Doreen?s hard work made it the most enjoyable and the least stressful it could possibly be! We love our new home and it?s all thanks to Doreen. I recommend Doreen to anyone looking for the perfect home for them." "Doreen was our realtor for the purchase of our first home, and since that transaction was so successful, it was only right for us to seek out her services again. She provided expert advice as to what we needed to do to prepare our home to sell. Once our home was on the market, we had a verbal contract within 2 days! Doreen was also our realtor for our new home and navigated us through the new construction process. It was very stressful at times, but she was always available to address our concerns, and fought for us when it was needed. Doreen is an Angel and so easy to work with. She was instrumental in making our home buying dreams come true and for that, we are grateful. She is very knowledgeable about this business and was always very professional during this process. I would highly recommend her services to anyone looking to buy or sell a home. Should we ever decide to buy or sell again, Doreen will definitely be our Realtor!" "When my wife and I entered the market looking to buy a home, we looked for two things. The first thing we looked for was someone who was highly rated with a great reputation and knowledge. The second thing we looked for was someone who would be our advocate and truly represent our interests. From the first time we met Doreen, we knew she checked every box and so many more. She worked diligently on our behalf, was responsive, personable and very knowledgeable. Though every step of the process we enjoyed our home buying experience and Doreen was the catalyst for that. We cannot thank her enough for her work and would recommend her to friends, family and you!" "Doreen recently helped my wife and I purchase our new home and sell our previous home. For both transactions she provided outstanding guidance and honest advice which helped us in our decision making. I would not say we are difficult clients to work with but we were definitely particular in what we were looking for so our search took over a year. During that time Doreen always came prepared with information about the property we were viewing that day and was always generous with her time. On the sale of our home she quickly sprung into action helping with professional photos and marketing efforts on several different sites. She was also diligent in following up with agents after they showed our home so we received the feedback we needed to get our home sold. In closing I have recommended Doreen Boggs to several people and will continue to do so. Simply put she is outstanding." Doreen was fantastic in selling our house! Always responded extremely quickly, knows the market, knows the area, and did not hesitate to light a fire under people's butts when necessary. Look no further if you're in need of a hard-charging Realtor! Doreen gets things done! She's knowledgeable, and fully understand the home sale / purchase is an emotional transaction and knows how to advise and provide you factual information and solid advice. The process was made very easy for Doreen and she was always available -- I don't know how she manages to answer the high volumes of calls. If she can't answer, she is super responsive in getting back with you -- treats you like a person and the experience is world-class! I had to make a decision that I was prepared to make, but she was the one who offered alternative negotiation strategy, which in hindsight, should be the norm---SHE's GOOD! I would call her again and again! Military -- she will take care of you! "Doreen was absolutely amazing throughout this entire experience! She was accommodating with me and my husbands schedule, she valued our opinions, and she made sure our dream home was nothing less than perfect. I would recommend Doreen Boggs 110% any day." "Doreen sold our house in 11 hours and above asking price. She was wonderful to work with!" "Doreen was awesome! We came from out of town and only had a week to find and purchase a home. Doreen was able to devote the days we needed to find a home within the week we were here. She was extremely flexible and very attentive to our needs in a home. She went above and beyond her call to assist with things with the home that we could not since we were out of town. Doreen was like family for the couple weeks on both ends of our purchase that's how great of job she did. Thank you Doreen!" "Doreen is an incredible real estate agent. She is informative and very quick to respond. She offers great advice and was an all around joy to work with. I would highly recommend her." "Doreen is a very professional realtor who takes her job very seriously. She takes every case personal and does everything she can to find the perfect house for each person. She’s a shark when it comes to negotiating. It’s been a pleasure working with her in finding our first home." "Doreen couldn't be better. She knows this area like the back of her hand, and the sellers agents all know and respect her. She is responsive at all hours of the day or night (though I'm told Realtors like to start a bit later than bankers), and never failed to follow up promptly. She handled more issues post purchase than I should have asked her to, including sorting out forwarding mail, dealing with a leaky gas pipe (that passed inspection - total fluke), and getting a mistake sorted out with the water company. We got the right townhouse in the right neighborhood at the right price, and did it all over a long weekend. She even pushed off some important personal business to accommodate the only weekend we could come out. Lastly, she is no nonsense - she learned what we were looking for quickly and was able to sort through listings and keep us focused and on track - no small feat. I recommend her without reservation." "Doreen Boggs was a pleasure to have as my real estate agent. Doreen never left any questions unanswered and always responded promptly. I would highly recommend her to our friend and family as their broker they will receive the best service any agent can provide. Doreen is very professional, attentive to detail and very easy to work with. I can highly recommend her to anyone seeking a truly professional Realtor. Doreen Boggs is the best. Being retired military and having done many moves, she made things not as stressful than all our other moves. She deserves the highest praise. I will definitely be referring my family and friends to Doreen. She is the greatest!" "Doreen is very knowledgeable with the area and the real state in it. She will make sure that you will find exactly what you are looking for with no pressure and she goes above and beyond her Call of Duty when she's working with her clients. One of the nicest and unselfish person I know I would recommend her 2 anyone and everyone who is in the process of trying to buy a home. I hope you're lucky enough to get her as your real estate agent when your time comes....... thanks Doreen for everything you rule." "Doreen Boggs was simply outstanding from day 1. Responsive, accessible, supremely knowledgeable, she made our brief house hunting trip easy and, just as importantly, highly successful. She was a professional and delivered through the closing and after. I would not hesitate to recommend her to anyone relocating to the Stafford area. A true pleasure." "Doreen was extremely professional and exceeded our expectations for the sale of our house. 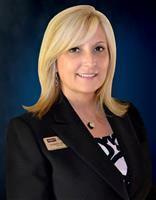 If you plan on buying or selling in Stafford VA, Doreen should be your realtor of choice!" "Doreen represented me in both the sale and purchase of my home(s) in Stafford, Virginia. Always a professional in her appearance and on time! Doreen's many years of experience and knowledge of the area made my experience as stress free as possible. Fantastic!" "We were asked to move to Virginia with very little notice and had zero luck in finding the home that fit our needs. A friend of mine introduced me to Doreen, and within a week she found us the perfect home. From the finances, to contracts, inspections and everything else that goes into the home buying process....Doreen took care of everything and did so in a very efficient manner. She always had our best interest at heart throughout the entire process. We've been in the home for two months now, and she still checks in with us to see how everything is going. She adds a personal aspect to buying a home that we have never experienced. It was a pleasure to work with Doreen and we will absolutely recommend her to others who may purchase a home in the area." "Doreen recently helped me sell my home in less than two weeks. She is a true professional in every sense of the word. I would highly recommend her to take care of all your home requirements. There is a reason why she is in the top 5% of all realtors in the Virginia area." "Highly recommend Doreen, she is an absolute joy to work with! Very thorough, accommodating, and knowledgeable. She will work hard to make sure you receive the best deal available, and will always make sure your best interests are in mind." "I was referred to Doreen by a friend, and I'm so glad I took the leap and started working with her! She was extremely attentive and available any time I had a question. She kept me updated on every step of the process, and made the whole experience something to remember. This was my first home, and I will definitely be going to her for my next!" "I would recommend Doreen to anyone that is in the market to buy a house. She is very knowledgeable, patient, and one of the sweetest people. She walked me through each step of the home buying process. I couldn't have asked for a better realtor. I will be using her again when I purchase my next home!! "Doreen is AMAZING!!! She works tirelessly to coordinate and finalize everything!! She listed and sold our home, at full asking price, in 11 days!!!! Doreen's marketing techniques, minor suggestions on improving the curb and home appeal, to explaing every detail along the way, was refreshing!! If you need a realtor, CALL DOREEN!! She will sell your house FAST or find the perfect home for you!!!" "Doreen made this stressful process a very smooth one. Her knowledge and expertise are beyond remarkable. She was always a step ahead. Thank you Doreen!" "As a first time homebuyer, I was definitely intimidated by the whole home buying process; but once Doreen was on my side, all of those fears dissipated. She's extremely knowledgeable and made the whole process more streamlined. Any time I had questions or was unsure of something, a text or email to her would be answered immediately. I can't imagine my experience being any better than it already has with Doreen. Simply amazing! Thank you!" “Doreen Boggs was a pleasure to work with. She provided excellent advice throughout the process and was followed through with great communication and clear expectations. This really helped our family with our big move and keeping all of the tasks on track to ensure a smooth closing. I would eagerly recommend her to anyone needing an agent and she would be the first realtor I call if needed in Virginia. 1. Prompt. Doreen respected my time as much as she does her own. She was never late to an appointment and never failed to find out the "status" of a home before she showed it. I have heard from others of agents showing homes that their client fell in love with that were already under contract. Doreen did her homework. 2. Straight Forward - After getting a feel for what we were looking for in a house when asked Doreen gave an honest assessment of a property we were considering. As a Realtor she is paid on commission so she could have bypassed or downplayed the "cons" but did not. Her candor was refreshing and further convinced us she had our interest at hearts which at the end of the day was important to me. 3. Professional - As a retired Marine Officer with several years of experience as a Realtor you get with Doreen what you would expect from someone with her background. She certainly has a "fun" side but when it comes to negotiations etc you will be glad you choose her to represent you. "Doreen helped us sell our house through the Homeowner's Assistance Program (HAP). She walked us through the program, told us what to expect, as well as letting us know what we need to do. She then gave us great pointers and some coaching so the house would show well. The pictures she took for the web listing showed the house in the best way possible. Despite the depressed market, we went from listing to contract at asking price IN JUST FOUR DAYS! After contract, she really went to work tying up all the loose ends while keeping us apprised daily. We couldn't have done it without her!" "Moving can be stressful and there are so many things to juggle and coordinate. We recently relocated to Virginia and didn't have much time to try to find a home in a market that was rapidly changing. Thankfully we were referred to Doreen Boggs. There are not enough words to describe her level of professionalism, competence, and compassion. My husband and I have worked with many Realtors in the past, but Doreen is truly in a class all her own. As a military couple, we as many others, had demanding and unique needs that she met with ease. The personal care and professional service that she provided is unsurpassed. She treated us not just as customers, but as friend." "When I first met Doreen Boggs with Coldwell Banker Elite, I was extremely impressed with her honesty, integrity and positive attitude that she could sell my home. After listing my home with a previous company for months, with no activity, I took my home off the market with the thoughts that I was going to have to endure many more months of two mortgages. With renters not being an option for me, I entrusted my home into Doreen's care. She came forth with a presentation, a market analysis covering the area of my home, gave me a reality check of the kindest nature and brought forth ideas to assist in the sale of my home. After following through with her ideas and working closely with her and her associate Michelle, the reality came true. My home sold in record time. In fact, my home was placed on the market well after others in my neighborhood, yet my home sold before any of the others. Other realtors have inquired as to how I was able to sell my home so quickly and my answer was, I used Doreen Boggs with Coldwell Banker Elite. I'm very thankful for her knowledge set of the market area, her perseverance and her continued support during this trying market. Her commitment and success rate is truly one that I will always remember and refer to other individuals enduring this difficult market. " "Doreen helped me sell my house when the previous realtor did not even have any one interested enough to see the house. She knew exactly what to do to make the house appealing and the "Stager" she recommended did a wonderful job. Doreen was very responsive and stayed in touch with me and my son and daughter by e-mails and phone contacts, sometimes daily. She knew reasonably priced contractors to handle the jobs that needed doing. I am sure that her hard work finally sold my house in what is a very slow market. She is a warm and caring which makes working with her a pleasure. Many thanks Doreen"
"When my husband and I found out we were moving to Virginia from South Carolina the first order of business was to find a realtor. We were so lucky to find Doreen Boggs of Coldwell Banker Elite. We were first impressed with her strong background and personal experience as outlined on the website, but once we talked on the phone we knew we needed to look no further. She instantly made us feel like we were in good hands. She was always available to us by e-mail and by phone. My husband moved to the area first and Doreen was extremely flexible in showing him houses and neighborhoods. She was a wealth of information about the area and was a great resource for a relocating family. She not only helped us find the home of our dreams but she also coordinated services and referrals we needed to get set up. During the closing process and beyond she was a strong advocate and made sure our needs and rights were met. By the end of the process Doreen was not only our realtor but a friend as well. We would highly recommend her services to anyone. "Our move to Virginia was the first time we ever moved our family. My husband and I didn't know what to expect of the housing market coming from Florida and we only had five days to find a house. Not to mention it was the holiday season! Doreen listened to what our needs and interest were, kept us on track and was prepared every day. Doreen made a very stressful situation relaxing and even fun. She dedicated all her time and energy to us and in the end we were successful in finding a great house for our family to live. We were so fortunate to have gotten her as our Realtor. In the future if we find ourselves needing a Realtor, Doreen will be the first we call! “Thank you for all your hard work. "We had a tremendous home finding experience thanks to Doreen. After moving across the country into an area that we knew nothing about, Doreen eased our concerns and worked tirelessly with us to find the perfect solution to our needs. She balances her limitless energy and professional expertise with a personality that makes you enjoy the experience. We really can't thank her enough!"